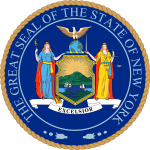 The New York living will is a legal document that will allow to an individual (principal) to address their medical choices, in the event the principal is no longer able to make their medical decisions. 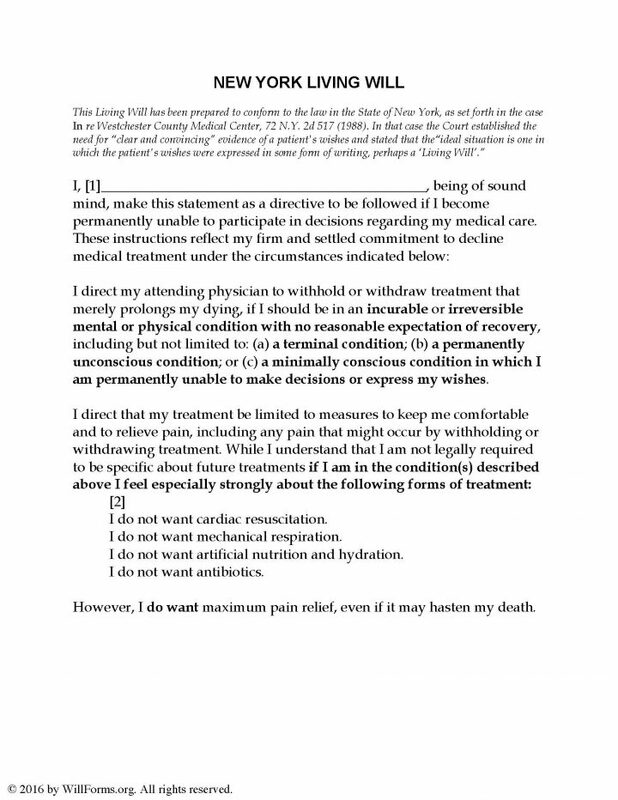 This document will provide specific instructions for their medical providers and health care agent, describing their final wishes, should they reach an end of life circumstance. The document must be completed while the principal is of sound mind and must witnessed to be legally effective. Should the Principal wish, the document may be revoked at any time. Laws – 29-C §2980 et seq. The Principal should first read the remainder of the document to ensure that there is a clear understanding. If any of the statements are unacceptable to the Principal, strike through them and they will not be considered a part of the wishes of the Principal.